The 8x50 privacy fence screen is heavy duty and durable. 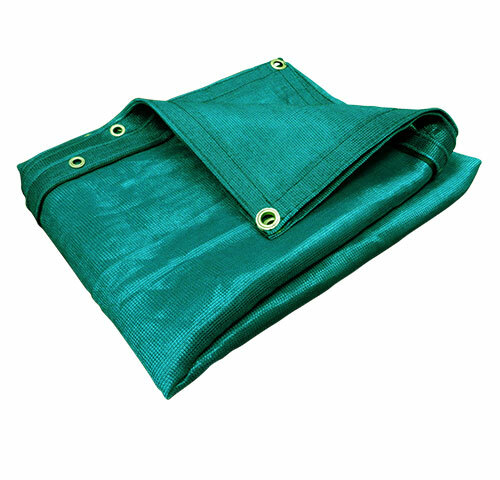 Each tarp provides 73 percent shade while allowing 27 percent light penetration. All tarps are 6" less than the stated size. 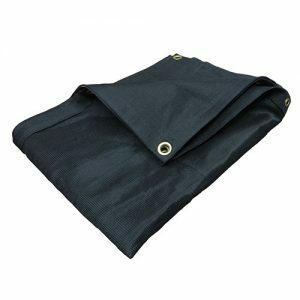 Made of durable polypropylene, our tarps protect items underneath against the sun's harmful UV rays. The breathable material is acid, rot, mildew and tear resistant. Additionally, it retains its' flexibility even in arctic conditions. Additionally, mesh tarps are versatile, easy to fold and store. Use for almost any application where protection from the sun is needed and air flow is required. 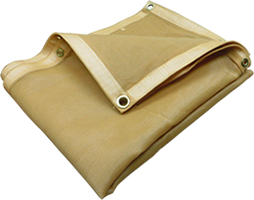 Mesh tarps have heat sealed seams with grommets spaced every 18".